Turn those sneakers into slip-on shoes and eliminate the time and trouble of tying your Shoelaces every single day. Replace your laces, so there's no more tying and untying, or tripping over loose laces. Just slip them through your shoe's grommets, clip them, and you're done! Really fun fashion accessory, too! These are available in a variety of cool colors to suit your preference. No more tripping over your laces when they get loose or come undone. 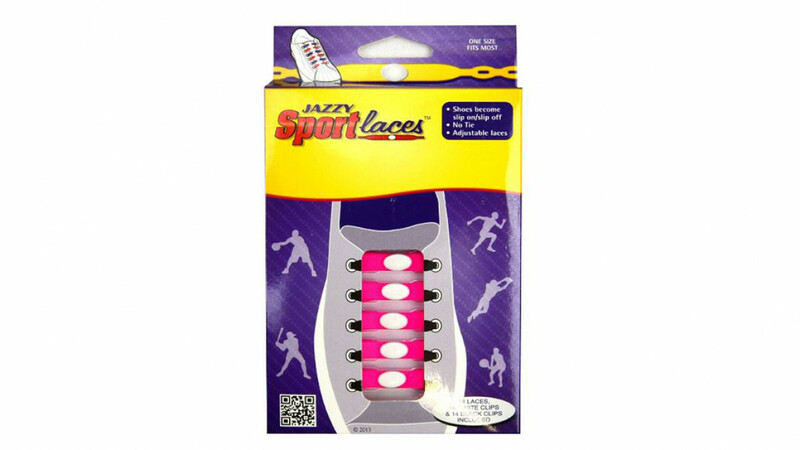 Loose or undone laces can really be hazardous when playing sport or jogging. This is a perfect solution for children, or adults who are not able to handle tying their laces for whatever reason. 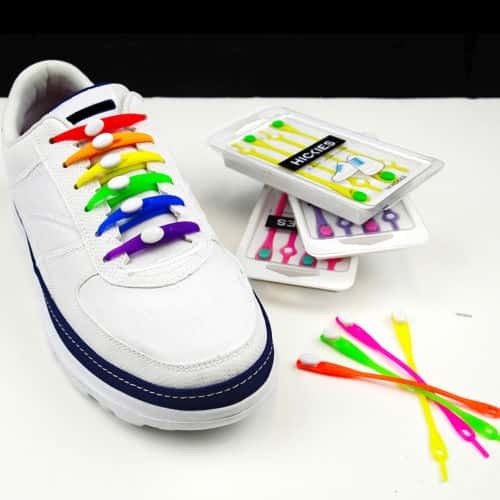 Set includes 14 pcs Neon Multicolor-Shoelaces, 14 white clips and 14 black clips.